Cyrq Energy, an American company specialising in renewable energy production, intends to supply 330 MW of geothermal energy to the town of Suswa, in the Rift Valley in south-west Kenya. The company plans to invest nearly $300 million in the project. Cyrq Energy wants to develop geothermal energy in Suswa, Narok County, in south-western Kenya. A request for approval has been sent to the competent authorities. The information is disclosed by Business Daily Africa. The company, based in Salt Lake City, Utah, USA, wants to produce 330 MW. A feasibility study has already been carried out on the site. It appears that the implementation of the project will require a 30 billion shillings investment, or nearly 300 million dollars. However, Cyrq Energy plans to start producing 75 MW within two years of the Kenyan authorities’ approval. “The first phase of the project will be financed internally, with a mix of equity and debt, while long-term debt will be guaranteed for the other phases of the project,” said Nicholas Goodman, President and CEO of Cyrq Energy. According to the CEO of Cyrq Energy, a technical team and independent experts from the company assessed the geothermal resources available through a drilling programme and a study ranging from preliminary design to installation of the power plant, planned before the beginning of the project. “These projects are generally conducted over a period of 3 to 4 years, after which electricity is first sold to the utility (Kenya Power) under a long-term 25-year power purchase agreement,” he said. 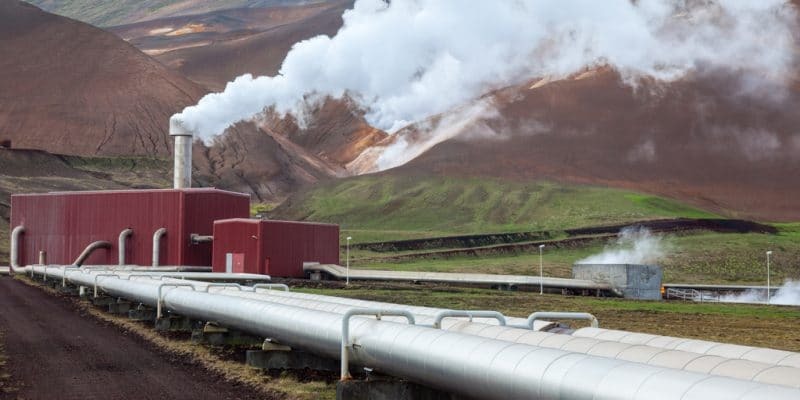 The completion of the new project is expected to further boost Kenya’s capacity as it is already ranked as the leading geothermal energy producer in Africa. In 2018, geothermal energy generated more than 17 billion shillings (more than 167 million dollars) for Kenya Power (KenGen), the public company responsible for electricity distribution. This represents 58% of the company’s revenues, far ahead of hydropower, which provides 29% of the revenues, or 8.3 billion shillings, more than $81 million. Revenue for the State is expected to continue to grow, especially as several projects are under way in several counties in the Kenyan Rift Valley. This is the case of OlKaria I in Nakuru County, Mount Longonot, Menengai Crater-all still in Nakuru and Silale in Baringo County.